August 29 is the National Lemon Juice Day. This is the perfect occasion to learn more about the benefits of lemon juice. Lemon juice is responsible for the sour taste of lemons because it contains about 5% to 6% critic acid. It is widely used in culinary in a variety of drinks and foods for both its taste and other properties. 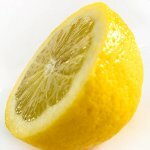 Lemon juice is used to make lemonade, soft drinks, cocktails, and lemon liqueur, providing sour taste and distinctive flavor. Lemon juice is also used in marinades for meat and fish. It can prevent some foods such as avocados, apples, and bananas from browning and is therefore used as a short-time preservative. Citric acid helps dissolve the tarnish, that is why the juice of the lemon is sometimes used for cleaning (often mixed with baking soda for better result). Lemon juice is used as a remedy in many traditional medicines due to its antibacterial properties and high vitamin C content. A glass of warm water with lemon juice can reduce a fever. Add some honey, and it will also help cure your sore throat. To celebrate the National Lemon Juice Day, make any dish or beverage that includes lemon juice. Just keep in mind that freshly squeezed lemon juice is much more useful than store-bought bottled juice.